Among the many old photos of family members whom my mother and I have been able to identify are a handful of mysterious ones. 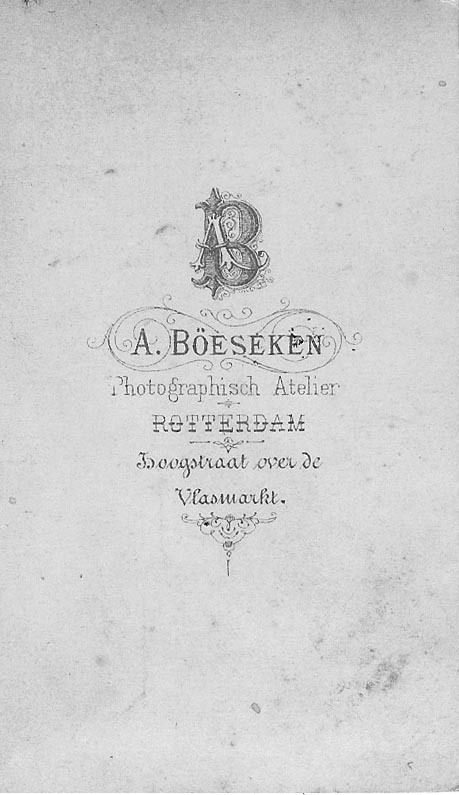 Although we can see the photographer of this one is A. Boeseken and that the photo itself was taken in Rotterdam, little more is revealed at first glance. I posted this and some other scans to my Flickr account and a distant cousin, Anje Belmon, looked into it. 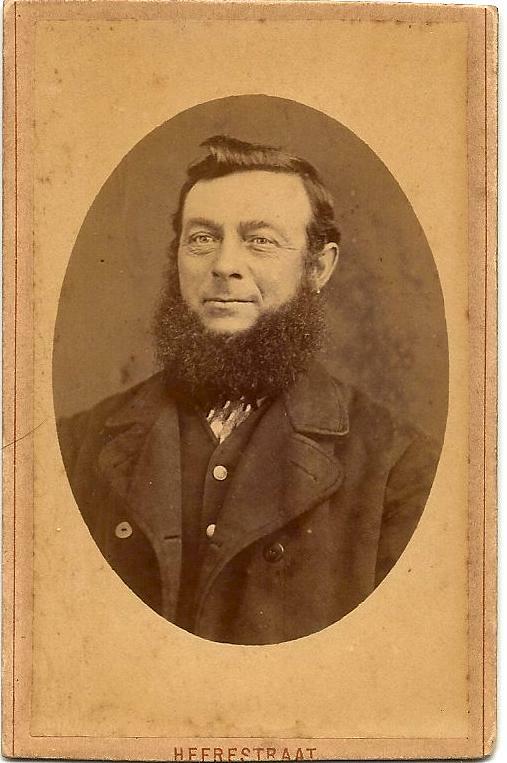 Anje discovered that the photograph is likely from between 1867 and 1877 by researching it on a website about photos taken in the Netherlands. It’s especially interesting because, she says, the earliest dated photo from the Netherlands is from 1842. “On the backsite … it says ‘A. Böeseken. Photografisch atelier. ROTTERDAM. Hoogstraat over de Vlasmarkt’. The underlined bit means ‘Highstreet over the Flaxmarket’ and is the adress of the photostudio,” Anje wrote in an email. 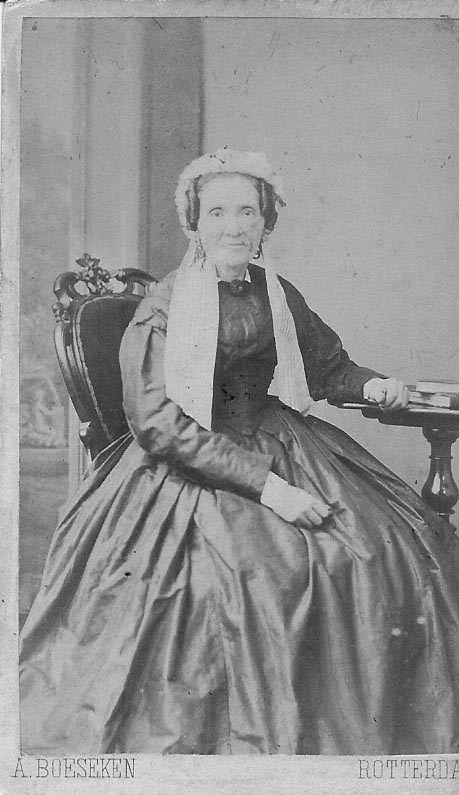 After looking through even more old photos, I am nearly certain this ancestor is one from Helena de Wit‘s line [she is my great-grandmother]. Although none of my ancestors are from Rotterdam, the closest that I know they lived was in ‘s-Hertogenbosch and Buren. Both are about 80 kilometers, or about 50 miles, away. I’ll keep looking for clues, but if you notice or think of anything interesting relating to this mystery photo, go ahead and leave it in the comments.